See gargoyles can you see the wonder ? What does never wrong mean ? 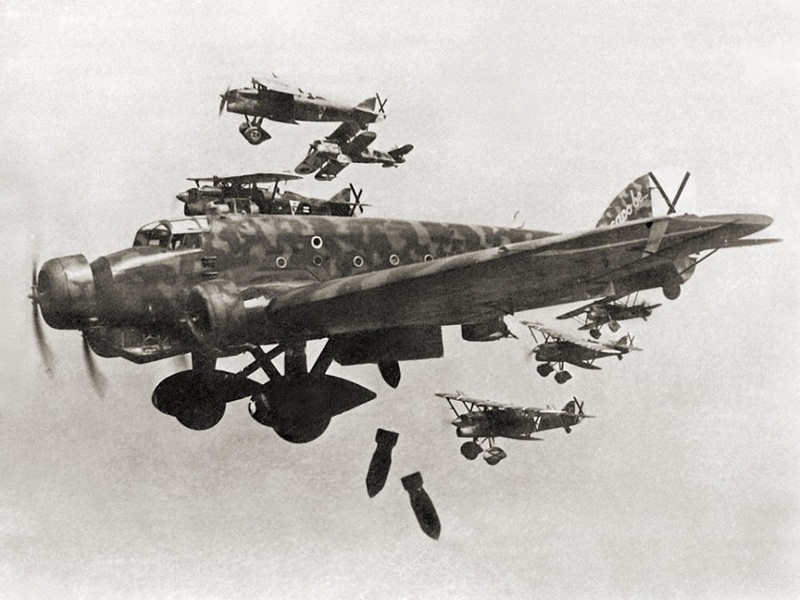 Top: Nationalist aircraft bomb Madrid in late November 1936. Second row: Ruins of Guernica. 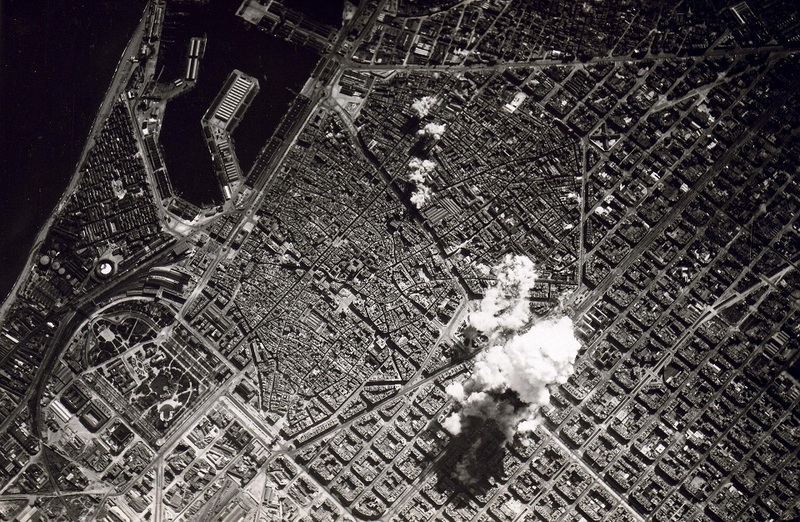 Third row: Aerial bombing of Barcelona in 1938 by the Italian air-force. "We go to Manchester airport in the summer," Ian Brown told the Maker in March, "and watch the planes land and take off. Your eardrums feel like they're shredding with the volume of the engines. And the fire coming out the back. It's an awesome sight, 30 feet from a plane. We want to get that sound onto record - bits of 'Guernica' sound like planes, but it's just 'Made Of Stone' backwards with forward vocals. I'd love to have done it as an A-side." Guernica, an experimental sonic soundscape, is one of the most powerful tracks in the Roses' cannon. During the Spanish Civil War of 1936 - 1939, Guernica, a town in Spain's Basque country, was regarded as the northern bastion of the Republican resistance movement and the epicenter of Basque culture, adding to its significance as a target. The saturation bombardment of Guernica on 26th April 1937 by German and Italian air forces destroyed the town, killing between 200 and 400 civilians, and injuring many more. It was the first aerial bombardment in history in which a civilian population was attacked with the apparent intent of causing total destruction. The whole town was on fire for three days; the most symbolic part of the town, the holy tree of Guernica, survived the attack. The bombing was the subject of a famous mural by Pablo Picasso (1881 - 1973) in 1937. The Spanish Civil War began after an attempted coup d'état by a group of Spanish Army generals against the government of the Second Spanish Republic, then under the leadership of president Manuel Azaña. The nationalist coup was supported by the conservative Spanish Confederation of the Autonomous Right, monarchists known as Carlist groups, and the Fascist Falange. Following the partially successful coup, Spain was left divided as supporters of the existing Republican government fought the forces of the new Nationalist government for control of the country. The war ended with the victory of the Nationalists, the overthrow of the Republican government, and the founding of an authoritarian state led by General Francisco Franco. In the aftermath of the civil war, all right-wing parties were fused into the state party of the Franco regime. The Nationalists received the support of Fascist Italy and Nazi Germany, as well as neighbouring Portugal. The Communist Soviet Union intervened on the Republican side, although it encouraged factional conflict to the benefit of the Soviet foreign policy, and its actions may have been detrimental to the Republican war effort as a whole. The war increased international tensions in Europe in the lead-up to World War II, and was largely seen as a proxy war between the Communist Soviet Union and Fascist states Italy and Germany. In particular, new tank warfare tactics and the terror bombing of cities - such as Guernica - from the air were features of the Spanish Civil War which played a significant part in the later general European war. Like most civil wars, it became notable for the passion and political division it inspired, and for atrocities committed on both sides of the conflict. 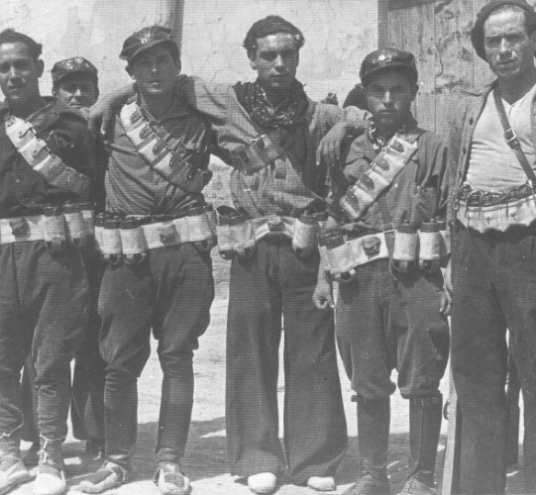 The Spanish Civil War often pitted family members, neighbours, and friends against one another. Apart from the combatants, many civilians were killed for their political or religious views by both sides, and after the war ended in 1939, the defeated Republicans were persecuted by the victorious Nationalists. An estimated total of more than 300,000 people lost their lives as a consequence of the war. Of that total, probably more than 120,000 were civilians executed by either side. What's your favourite piece of artwork or photography ? 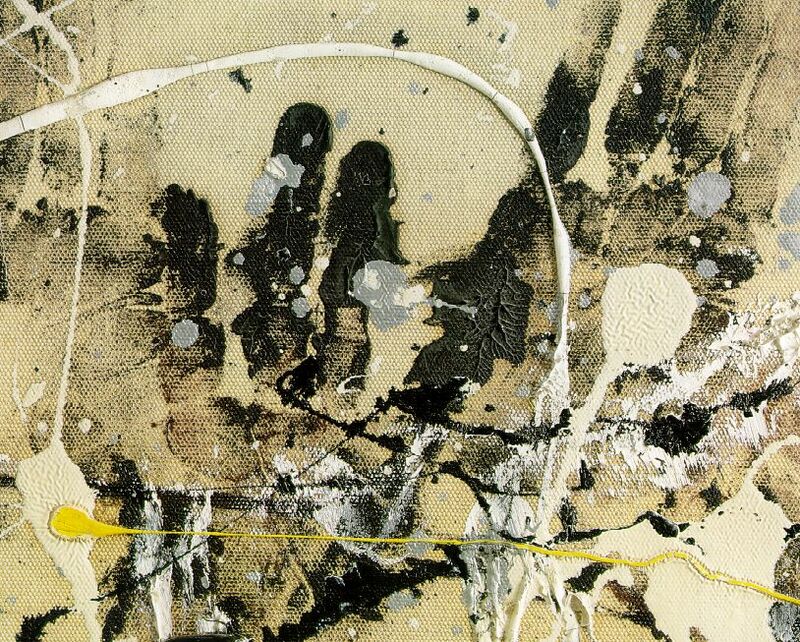 Squire: Number 1A by Jackson Pollock. It's like a window into another world, a revolutionary technique, a painting that seems to have created itself, even the artist's own hand prints are clearly visible. Also, I like Guernica and Rembrandt's self-portrait, 1659. 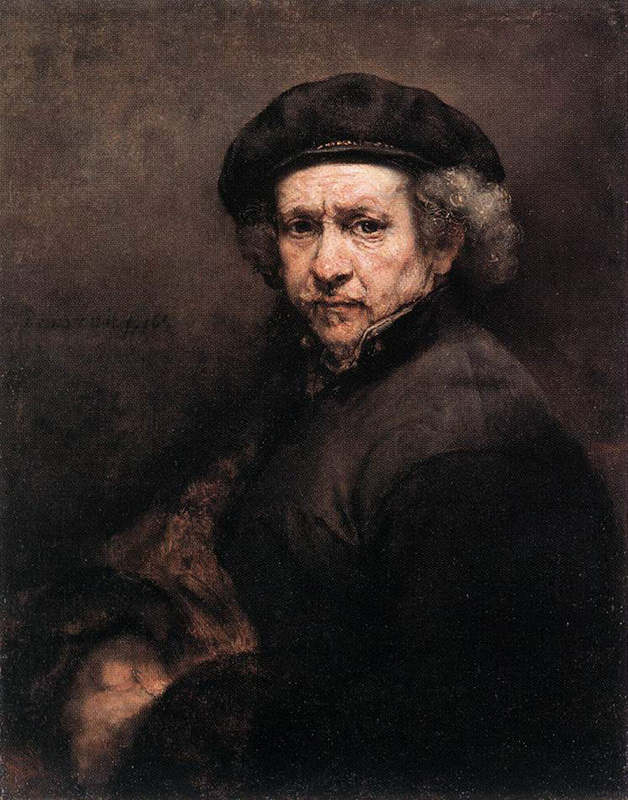 Top: Rembrandt's self-portrait (oil on canvas, 84.5 x 66 cm, 1659). 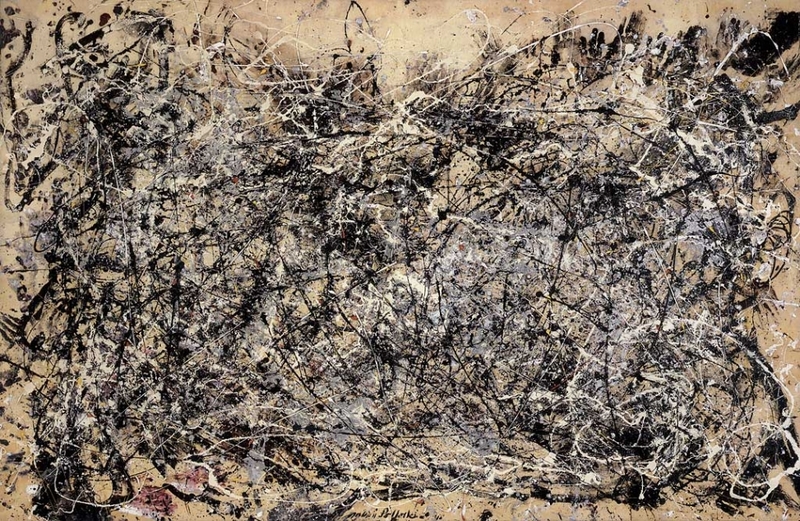 Middle: 'Number 1A' (oil and enamel on canvas, 172.7 x 264.2 cm, 1948) by Jackson Pollock. Bottom: 'Guernica' (oil on canvas, 349 x 776 cm, 1937) by Pablo Picasso. The painting's importance transcended its historical source, becoming a universal symbol of war's tragic consequences. Painted in Picasso's signature Cubist style and replete with characters that recur in his work (such as the Minotaur), this entirely black-and-white painting has the stark immediacy of a newspaper article. The work is infused with narrative symbolism, yet despite the weighty iconography, the artist's decision to strip his canvas of colour provided his abstract forms and mythic symbolism with a powerful impact. 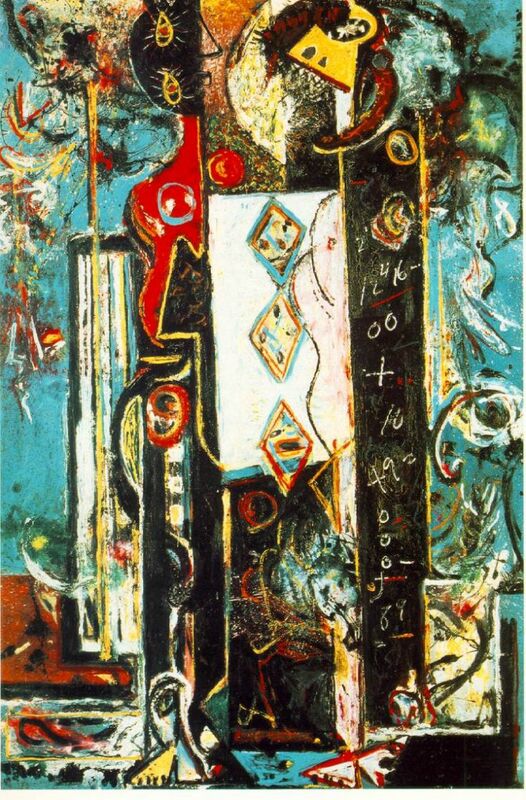 Jackson Pollock - himself a major influence on Squire - was obsessed by the painting, with its influence obvious within certain sections of his own work. See, for example, Male and Female from 1942. 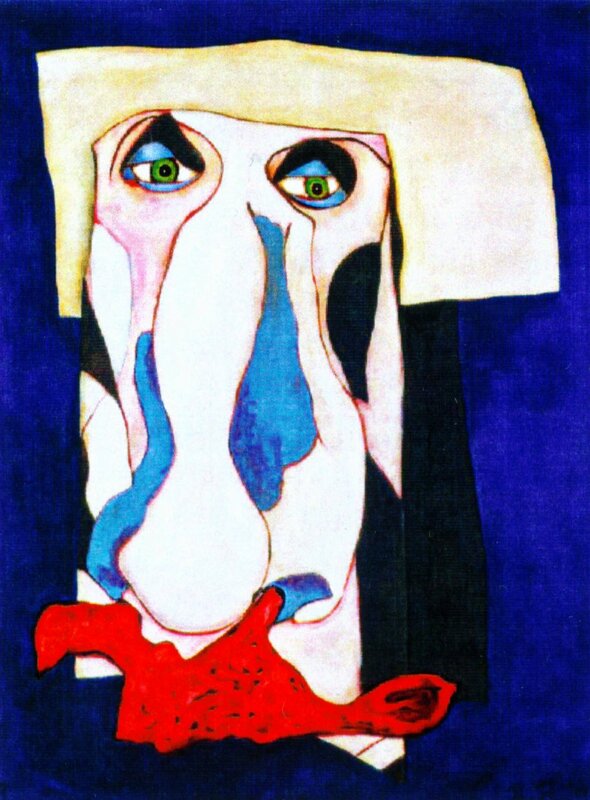 The influence of Picasso is evident on Squire's One Love artwork, and 'Man With a Bloody Nose', from 2005. Andalucia was one of the first regions of Spain to be taken over by the Nationalists in 1936. Federico García Lorca, a Republican poet, dramatist and theatre director from Andalucia, is thought to be one of the many thousands who 'disappeared' and were executed by Nationalists at the beginning of the Spanish Civil War. 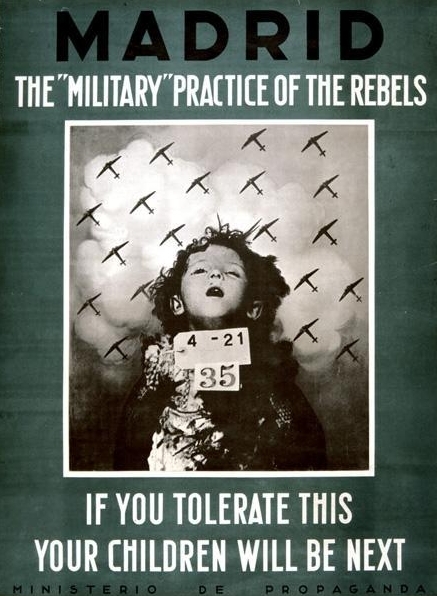 The Manic Street Preachers song 'If You Tolerate This Your Children Will Be Next', from the band's 1998 album, 'This Is My Truth Tell Me Yours' captures the idealism of volunteers from around the world who joined the International Brigade fighting Franco's insurrection against the Spanish Republic. Right: British band The Durutti Column were named after the most famous column of anarchist fighters during the Spanish Civil War, Durruti Column (the variation in spelling was intentional). Led by Buenaventura Durruti from mid-1936 until his death in November of that year, the Column was instrumental in holding Madrid for the Republic in the face of the falangist uprising. The Column was eventually, like the rest of the anarchist and socialist units, incorporated into the general army of the Republic.